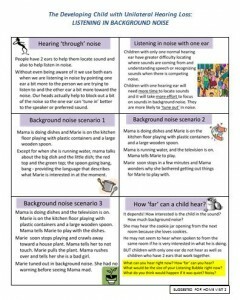 What is The Developing Child with Hearing Loss? 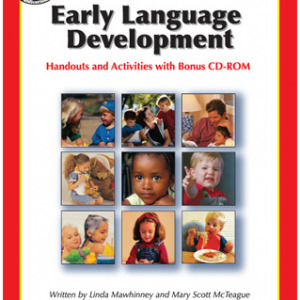 The early intervention material is based on a 100-slide PowerPoint Presentation that explains what should be discussed at each of the first 5 or so early intervention sessions along with family-friendly information to address each key point. Handouts have been drawn from the slide groups to serve as a summary of key concepts. 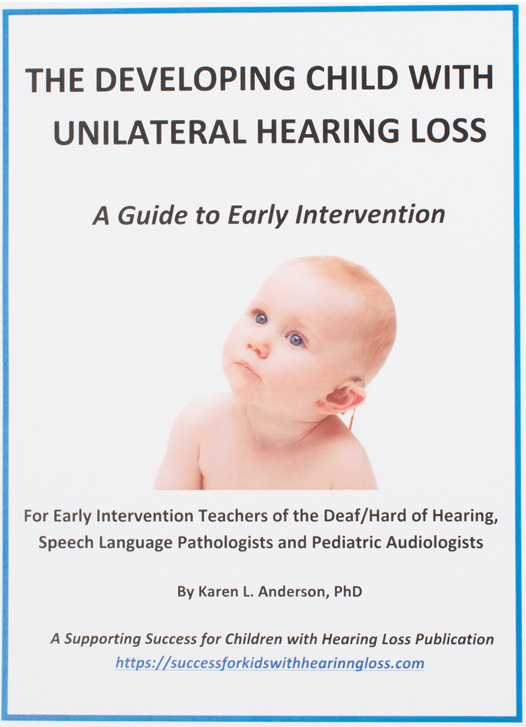 The 60-page guide also includes specific information for pediatric or educational audiologists to refer to after diagnosis. 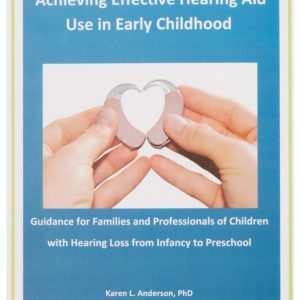 Also includes guidance for pediatric or educational audiologists to provide appropriate support and information to influence family attitudes toward the importance of unilateral hearing loss. 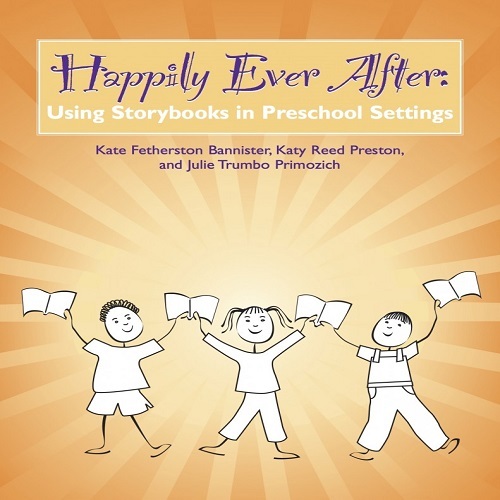 15 color Discussion Handouts are included in the Guide to accompany topics focused on at each session AND are also provided as single downloadable pdf files for you to print off to share with families. See topics at bottom. 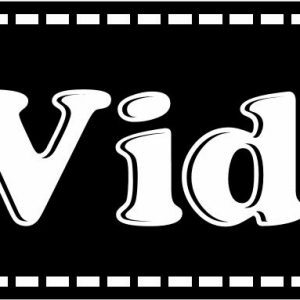 Downloadable pdf file of 100-slide PowerPoint to use on your iPad or media tablet as you work with familie OR you can print the specific slides you want to accompany the handouts and add them to your Guide notebook. 10 additional downloadable pdf resource files to add to your notebook and refer to as you discuss with families and/or to print off as additional handouts for families. See the list of Additional Resource Materials at bottom. Families often have a hard time believing that there is any impact when a person has hearing loss in only one ear. Listening is believing! 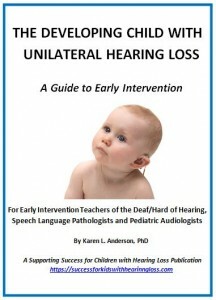 One strategy presented in The Developing Child with Unilateral Hearing Loss asks the parents to listen with an earplug in one ear. Having earplugs on hand also helps to effectively demonstrate the effects of bilateral mild hearing loss on listening! Although available at many drug, sporting goods and large department stores, Supporting Success provides earplugs for sale for the convenience of busy professionals! Each pair wrapped separately. Sold for only $0.45 each! Noise reduction rating of 33 dB. This is a restricted use license for a single individual to copy/print/distribute the materials to serve only the families on his/her caseload. The printed guide will come with a coupon code to allow download of the Discussion Handouts, Additional Resources and pdf of the 100-slide PPT presentation. This is a restricted use license for a single individual to print/distribute the digital materials to serve only the families on his/her caseload. WHAT TO DO – GET HELP!